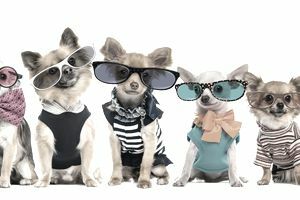 Pet store operators have any number of fun, creative promotional ideas for their businesses at their disposal. Best of all, these ideas can cost little or no money. Here are some neat ones. If Halloween is near, stage a pet costume contest. You could invite people to bring their decked out pets to your store, then ask customers to vote for the best costume, for which the pet could receive a prize from your store (such as treats or a toy). Then post the photos on your business blog or in your e-newsletter. Whenever a customer comes into your store with their pet(s), take a photo and post it on your blog or in your e-newsletter. You could also invite customers to send their favorite pet photos for you to post on your business's blog. Although this example has nothing to do with pets, it's a great idea for pet businesses. There's a beauty supply store in my area that sends out newsletters every few weeks, with discount coupons for new products they want to promote. When they decided to install a small hair care station and hire a part-time stylist (those who wish to expand into pet grooming, take note) to offer in-store hair services, not only did they announce this in their newsletter, they offered customers discount coupons for styling services. In addition, they invited people to enter a contest to vie for a free haircut. If you offer coupons, make sure they have a specific expiration date, and the terms are clearly stated. Giving out free samples of food or new products can help encourage new customers to try that, and potentially continue to purchase, that item, creating customer loyalty in the process. Partner with an animal shelter or rescue organization to hold pet adoption days. This is a great way to promote your business, plus perform a valuable service to the community. There is a veterinarian in my region who incorporates holistic pet care services into his practice. He writes a monthly column for a respected local newspaper, in which he explores topics pet owners write in and ask him about. The newspaper gives the vet a free ad in return. So this is mutually beneficial for all parties involved.